This is an interweaving trip. On this trip you can see Thai culture, traditional market, food and dessert which they show you how to cook with their smiles. Plus! I will give you a Polaroid photo for souvenir! Let's join with me! Arrive at Maeklong Railway Market. You can try a local breakfast here. This is one of the most amazing market in the world. This market is truly a unique market as it is located right on the active railway track !. So let's see. Let's go to sightseeing the Amphawa Floating Market. We will taking a private long-tail boat to see the Mae Klong river and visit a temples that is very important in this area. Let lunch here, buying the food on the boat vendors. A perfect day together. Before back to BKK,we wil go to Don Hoi Lot. This is the sediments of the river together with the sea. The beauty of the sea and mangrove forests. The famous activity here is catching the razor clams, this is the local life. Take a relaxing time here. Time to say good bye Amphawa Floating market trip. If you are the person who finding the relaxing place, I recommend you to join this trip. You will enjoy an ordinary life which can full fill your quality time at Thailand. 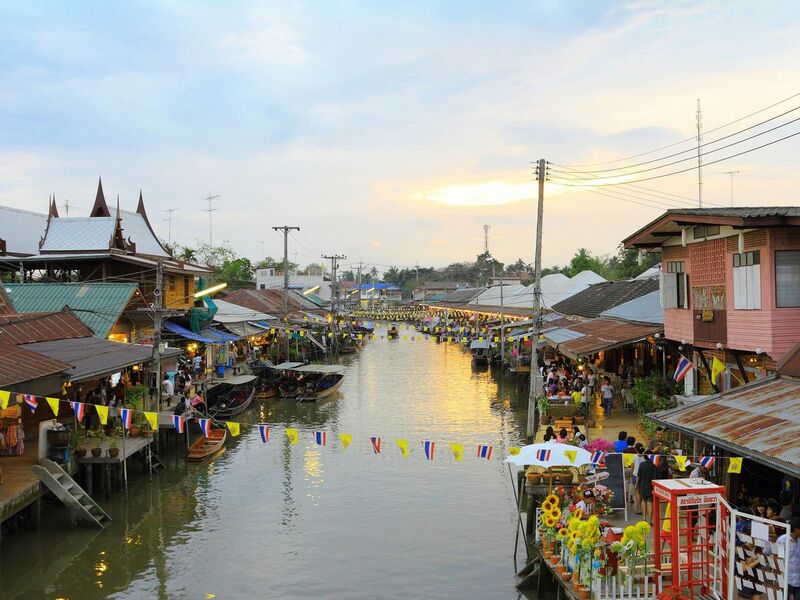 Amphawa is not only the floating market, but still have many activities you can do. It's a perfect place, you can see the Thai culture. This place still keep the way of life such as former times which difficult to find in present. So How Excited! "Live life to the fullest"
I'm a person who adore travelling, like to take a picture whatever I see and love it. So I'm sure If you join with my trip you will be self & happy and also can get more experience in Thailand. You will never forget this place.